Our panel predicts the outcome of this year's World Cup from the very first group stage match, to the very final on July 13th. Here are the predictions for Pedro Almeida. Agree? Disagree? Let Pedro know, by commenting below. Brazil is hosting this years tournament, and I don't expect them to lose any points during the group stage. Neymar Jr will have the help of Hulk, Ramires and others to take their favorite status and finish top of the group with 3 wins against 3 countries that don't look strong enough to pose them any risks. Croatia should finish 2nd in the group, and will make good use of the experience of their three nuclear players Srna, Modric & Mandzukic. Cameroon will have one thing on their side, weather. They should not suffer with the weather of Brazil, but that will not be enough for an aging team that has long passed their prime. Mexico will finish last. I don't see this Mexico squad being able to pose a threat to any of the other 4 squads. They will leave the World Cup as they entered, with 0 points. This group will pin two of the favorite teams to reach the final of the tournament, Spain and Netherlands. The first game of the group will see these two giants battling for group supremacy. Normally this early in the group stages and in such a high octane match up we end up with a draw, and that is what i predict for the first match. Spain should win the other two matches of the group, and finish with 7 points. By no means it will be easy against Chile, but overall Spain has more weapons than Chile and should be able to come up on top. Netherlands will get the 3 points against Australia and will find Chile a very difficult opponent to surpass. Those two teams should end up with a tie, which puts Netherlands in second place with Chile a close third. Australia just like Mexico will go home the same way they came in, with zero points. The key for this group will be how will Colombia do without Falcao? That is the big question mark. Colombia has other offensive weapons like Jackson Martinez, who won the golden boot in the Portuguese League this season, but will he be enough to fill in the shoes of Falcao? Much hangs on this question as I look at one of the more interesting groups of the tournament. Colombia has plenty of weapons, players like Quintero, Bacca and Valencia will help this team be competitive, but we all remember a similar strong Colombia squad in 1994 that didn't make the group stages. Greece will be my dark horse in this group I believe they will fight with Colombia for the 2 top spots in the group. Greece is a very strong defensive team, with very experienced players like Katsouranis and Karagounis and are able to grind out results. I believe Greece will defeat Japan and tie both Colombia and Ivory Coast finishing top place with 5 points. Colombia will tie Greece, defeat Japan and tie with Ivory Coast, finishing with also 5 points but not as good goal differential. Japan and Ivory Coast will end up with a tie. Ivory Coast is one of those teams with huge promise but when they arrive at these tournaments they seem to lose their focus and play as individuals rather than a team. Costa Rica will enter this group just as a schedule filler, I can't see them making a dent against any of the other three squads in this group. I can't imagine them stealing any points away from the other squads. England and Italy will kickoff the group stage with a match between them, I think the winner of this game will win the group and I believe it will be Italy. They have more experience and in my opinion are better suited for this tournament with the depth of players they have. England has a mixture of youth and veterans but I don't think the veterans are strong enough to carry the youth through this difficult group stage. Uruguay will manage two ties against the groups strongest teams and with a win against Costa Rica will be able to get the second place in the group, sending Italy home. Group E should belong to France. They are the class of the group and should not have any difficulty finishing top with three victories. The real questions will be who will take 2nd spot and advance to the round of 16? The lack of experience and quality of both Ecuador and Honduras force me to give the edge to Switzerland. Their keeper Diego Benaglio will be the reason they will finish second, while I don't expect them to score many goals I believe he will keep them in the games and able to get enough points to finish second in the group. Argentina will win this group, i would be willing to bet 1 Gazillion dollars on it. So like the previous group with France the question is who will take second, and for me that will be achieved by Bosnia. Dzeko coming off a title run with Manchester City will take their debut in the World Cup as a chance to put their foot down and make it to the round of 16. I don't think anyone else will expect much more from them, but I do believe they will surprise some teams with how organized defensively they are and how strong tactically they have become. Nigeria and Iran don't have the same quality on their squads to be able to get much out of this group. This is the famous “Group of Death” I have no doubts about it. All four teams in this group have serious aspirations of making it to the next round. Germany seems to be everyone's favorite to finish top in the group and I would have to agree. They have a very strong team that has a strong tactical awareness of the space and very strong in their defensive half, but when pushing forward Muller and Podolski give them enough weapons to reach the opponents net. They are also a team that gets plenty of goals from the midfield line. When it comes from scoring goals with their midfielders nobody does it better than Portugal. They don't have a strong reference in attack and most of their goals come from their midfield players, but for them to advance Cristiano Ronaldo will have to be 100%, and this is a huge question mark going in. Having said that I still think these two countries will advance in this group. Ghana and USA while making every game a difficult one, but will not have enough firepower to gain a spot in the round of 16. The last group hold what will be this years World Cup Cinderella story, Belgium. They are a young and energetic team, with top players playing in some of the best clubs in the world. The only issue they have is not having Benteke up front to score goals for them, and this could be their achilles heal. I still believe they have enough options on the team and enough players able to score even if they are not in forward positions. Adding to that a hot goalkeeper that has just won the Spanish League in Courtois, this team could be a serious contender in this tournament. Russia led by Fabio Capello has been impressive during qualification, finishing first in their group pushing Portugal to a playoff match against Sweden. So I expect the Russians to also advance from this group. Algeria has a strong team, and 2 good forwards in Slimani & Ghilas, but not enough overall to make a real run at this group. A remodeled Korea Rep. should finish last in what will be a disappointing tournament for them. This will be a marquee match up in this round of 16, with Brazil using their home support and creativity to dispose of a Netherlands team that will lack ability to breakdown a strong Brazilian defensive core. Uruguay has too many offensive players of high quality to be stopped by a Greek team that is aging and will have a difficult time keeping up with the speed of Suarez and Cavani. Greece will make it close in the first 45 minutes but Uruguay will go on to the next round. 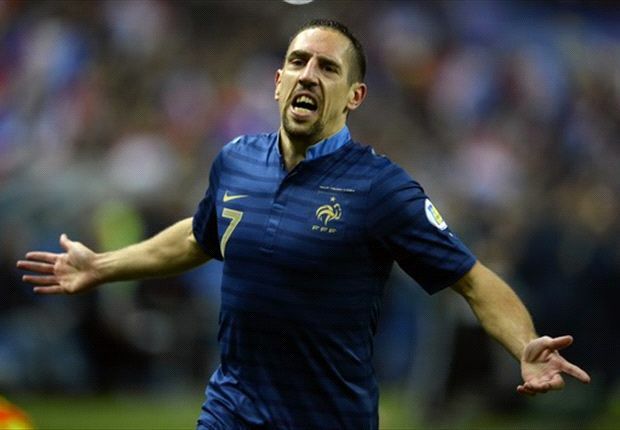 France are a difficult team to eliminate in the knock out stages, and Bosnia being the rookie team in this tournament will find it very difficult to defeat France. 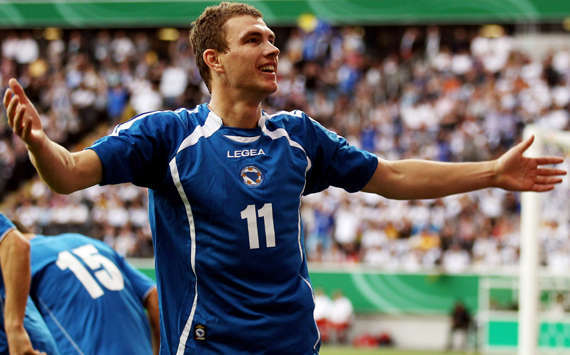 Dzeko will score 1 goal to make the game close but France will get the win they need. The Cinderella story continues, and Belgium has achieved the upset of the tournament so far. 1-1 after regulation Hazard will score a late winner in added time. Spain will control the game and attack the Croatian goal only when they see fit and without letting go of their defensive position on the field. This game will be a tactical match with Spain finishing on top. The second upset of the round of 16 will be this match. Italy will lose on PKs and we will their dreams of lifting the World Cup trophy go up in smoke. Argentina will have an "easy" task against the Swiss in this match. Benaglio is a great goalkeeper but he won't be able to stop Messi, Di Maria, Higuain and Co for 90 minutes. A re-match of the qualification group stages, which saw Portugal lose in Russia 1-0 and Russia lose 1-0 in Portugal. Considering those 2 past matches I don't expect this to be a high scoring affair, I will give the edge to the Portuguese since they will have the fan support and weather on their side. Brazil will have their hardest test yet, and will show that the samba boys are not only hosting the party but want to win it in their home soil. Neymar will out duel Suarez in what will be a free flowing attacking game and come up on top in the end. Brazil will be one step closer to the title. The Cinderella story continues in the QF with a win over France. By this time in the tournament France is normally dealing with some off the field identity crisis, so I expect Belgium to be the more concentrated of the sides and use their youth to surprise France in this round. Spain may not dazzle you with speed and attacking plays but they are a cold and calculated team that has a large amount of experience in these competitions and in this match it will show. Spain wins but not without sweating it out first. The Messi vs Ronaldo game will prove that Argentina has a better supporting cast than Portugal, and while I expect Messi and Ronaldo to have a good game the difference in this match will be the players that surround them. Argentina has the edge and will win comfortably. Belgium's incredible run will finally come to an end. Brazil will be full of confidence and with the support of the home fans they will be able to almost taste the trophy at this point. They will capitalize on the mistakes of Belgium and win this match with ease. Nobody knows Messi better than Spanish players and this Argentinian team will have a difficult time playing against a well organized Spanish side that will not give Messi one inch on the field. Spain will reach another World Cup final for the displeasure of many. Only with a third place finish up for grabs and yet another wasted chance by Messi to win the only trophy that he doesn't have, this game will mean very little for Argentina but a lot for Belgium. Overall the options on the squad and experience in these competitions will give Argentina a slight edge in this game, enough to see them finish 3rd and Belgium 4th. 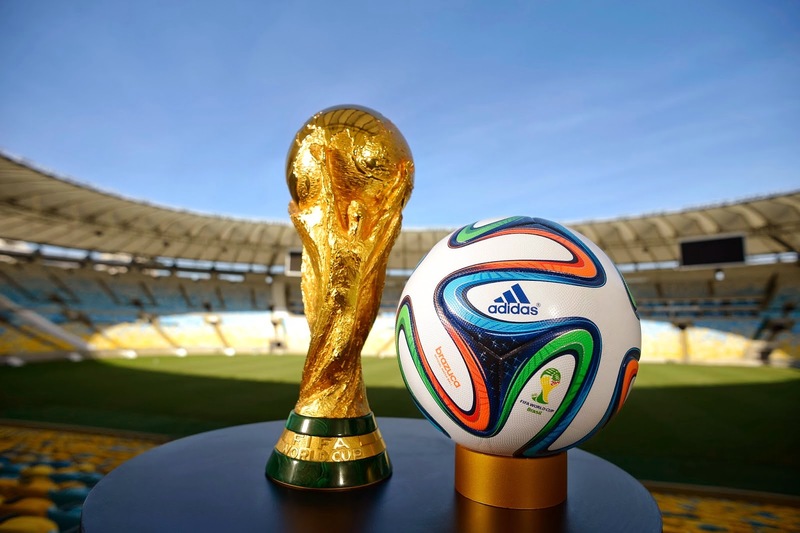 A rematch of the 2013 Confederations Cup and we will see a repeat of the result. Nothing is stopping this team from lifting the trophy in their home soil in front of their fans. This tournament will be stage for Neyamr to put a stamp in the world map of football and he will not only win the Golden Boot but also the tournaments MVP.